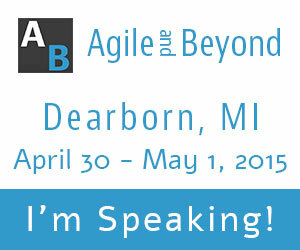 I am honored to be a guest contributor to ThoughtWorks Studios’ blog this week. This post coalesces some of my thinking about the effort Business Analysts should be putting forth to grow as individuals and as a profession. 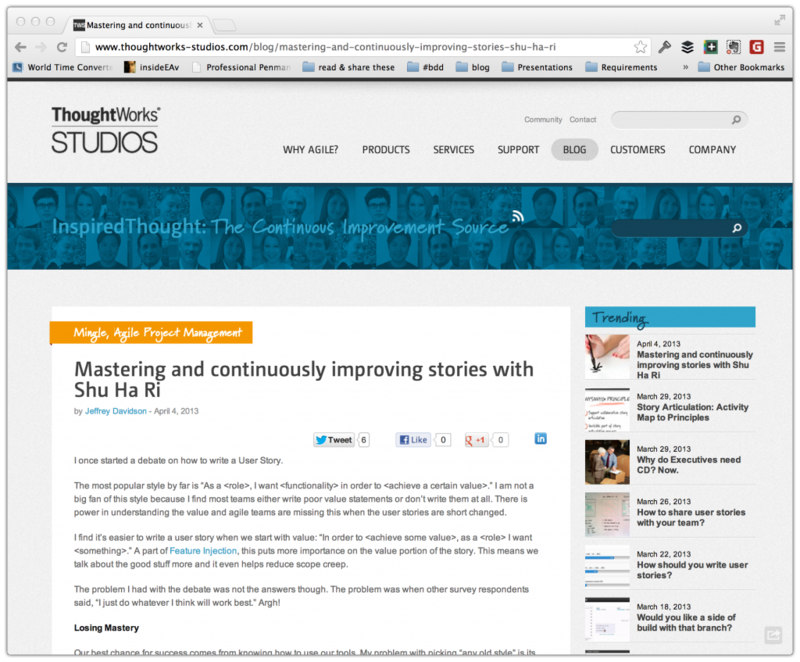 Please go check out and comment on Mastering and Continuously Improving Stories with Shu Ha Ri. It was different writing a guest post for ThoughtWorks. I often ask for feedback on my posts before publishing them, but this was much closer to having an editor. The suggestions were deeper and more serious than I usually get from friends and colleagues. I think the post turned out better for it. Also, they wrote the title and suggested the calligraphy image. I suppose I could have asked or been insistent about changing these (Kristi doesn’t understand why this picture was chosen), but I was much more honored to be asked for this than I am concerned about the title and image. I want a conversation about what it takes to learn and master our craft, so please do comment on the post!